The new gTLD .LAT is an eCOM-LAC initiative that offers Latino individuals and organizations across the world the option of having a Internet presence with a Latino identity that allows them to stand out and differentiate themselves from the rest of the Internet. The entity was a founder of LACNIC, the Latin American and Caribbean Network Information Center, established at the end 2003, after four years of negotiations with the ICANN to obtain the approval of this organization. In 2006, eCOM-LAC joined as a member of the Global Knowledge Partnership, a global network of NGOs, international organizations and companies. These entities have gathered in a global network with the purpose of accomplishing the goals of the World Summit on the Information Society and forming multi-sectorial alliances, oriented to collaborate in projects of social inclusion by the application of ICTs. In 2008, in an election process, which involved 140 members of the GKP, eCOM-LAC was chosen as the Regional Coordinator for Latin America and the Caribbean. In 2009, after a general election of the GKP, eCOM-LAC became a member of the Executive Committee of the GKP. eCOM-LAC currently has entities and companies from Mexico, Ireland, Peru, Brazil, Uruguay, and Argentina, among others. 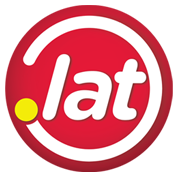 The .LAT Registry is compatible with the operational and technical standards of the domain name industry and was designed to offer an easy integration to the ICANN Accredited Registrars. The technical backend is provided by NIC Mexico, incorporating the most advanced technology and quality standards in the industry from their headquearters located in Monterrey, Mexico. NIC Mexico is committed to managing the infrastructure of the .LAT new gTLD, while seeking to maintain the stability, integrity and security of the Internet, making .LAT a 100% Latino initiative. With over 10 years of experience in the development of solutions for the domain name management, NIC Mexico has acquired the knowledge necessary to support the Registry .LAT operations with security, stability and outstanding performance. These abilities are the result of the continuous improvement that business processes demand and the constant skill development of the operational and technical staff.